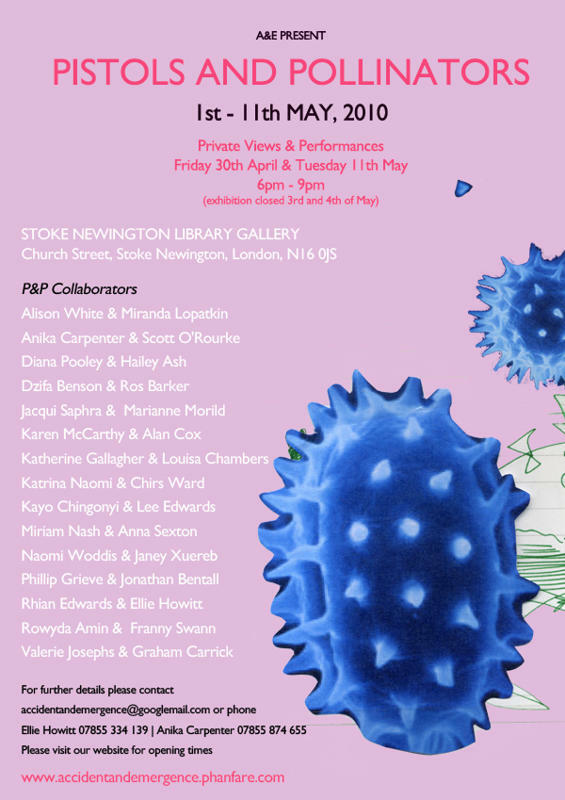 From 1st – 11th May 2010 our work will be displayed, along with other collaborations, at The Gallery, Stoke Newington Library, Church Street, London N16. This entry was posted in Events and tagged Accident & Emergence, Anna Sexton, Art Poetry Exhibition, Collaboration, Miriam Nash, Stoke Newington Library Gallery. Bookmark the permalink.